Hours drift by while you sit poolside, listening to the waterfall and squeals from happy kids. Make dinner a team effort with top-your-own tacos. You may not get too much further in your book - the lake views are mesmerizing. Two paddles and an empty table. Who's game? Once they've got a feel for it, try a speed round. Enjoy the stunning beauty of Table Rock Lake from your perch above, or up close and personal, with water sports ranging from boating and fishing to water skiing or parasailing. Taking a day off from the lake? Onsite entertainment at Westgate Branson Lakes Resort includes an outdoor pool with a waterfall, indoor pool, hot tub, mini golf, horseshoes, shuffleboard, sand volleyball and basketball. A dedicated Fun Team organizes a crowd-pleasing daily calendar of activities – everything from t-shirt and tote bag crafts to Texas Hold ‘Em and themed dinners. See what strikes your fancy and report to the clubhouse or outdoor pavilion at the designated time. Take advantage of the poolside bbq grills and have a family cookout. Recruit the kids to help carry burgers, hot dogs and side-dishes. Then lay out the condiments and toppings and let everyone have at it. Feel like letting someone else flip the burgers one night? Head for the sports bar and grill at the nearby Westgate Branson Woods Resort. One-Bedroom condos sleep four guests. Upgrade to a Deluxe One-Bedroom for more space and a king bed. Two-Bedroom condos sleep six guests. Full kitchens allow you to save money by making your own meals. Head to the 24-Hour Marketplace on-site for groceries and bring the little ones to make sure no one’s favorite snacks are forgotten. Recruit the kids to help bake your famous double chocolate brownies (not that they’ll need convincing). Your in-suite washer/dryer will come in handy when the kids end up with chocolate on their clothes. Up for a low-key night in? TVs with Cable and DVD players have you covered. Bring favorite movies from home, put one of the kids in charge of snack duty and ask for a show of hands to decide what to watch first. If you are traveling with a large party, consider a Deluxe Two-Bedroom condo. It sleeps up to eight guests and includes two full kitchens, two living rooms and two in-suite washer/dryers. There’s no need to find a pet sitter, Westgate Branson Lakes is a dog and cat-friendly resort. 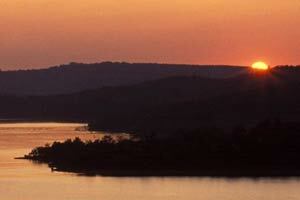 You’re minutes from the buzz of Branson, whether you feel like taking in a show or hitting the theme parks. It’s all just a short drive away. Shopaholics, rejoice! Branson Landing is a fifteen-minute drive from the resort. Little ones will love making their own toys at either Ridemakerz or Build-a-Bear. Branson-themed souvenirs can be found at the Five & Dime General Store. The Children’s Place has apparel and accessories for toddlers and children. Did you know that there are more shows in Branson than there are on all of Broadway? The Branson Theatre District features more than one-hundred shows. Check out Million Dollar Quartet, Amazing Pets and Legends in Concert. Surprise the kids with a day at Silver Dollar City. This family theme park features over forty rides including a train ride, white water rapid ride and roller coasters.